In this issue we look at moderating perspectives on a few hot topics. First up, we follow up on our earlier coverage of bots and use cases. There are lots of good reasons to be excited about the growth and range of applications for bots, but the hype has been a bit much. We have chosen four short articles to get you current. Next up, Stickers as a serious content type, then thoughts on the utility of video, purposeful merging of web and mobile, and interesting ideas on product placement. Wrong Narrative. Wrong Mindset. Wrong Solutions. Don’t worry, this is about bots not politics, and Sar Haribhakti’s view is balanced. Sam Lessin is a big fan of bots because of the potential for developers in general, and in particular for the personal assistant his company, Fin, is building. His experience and thoughts on the challenges of bringing bot-based products to market will help developers and product managers tune expectations. Analyst Jan Dawson looks at the numbers. Stickers as a serious content type. Connie Chan should convince you there is more to Stickers than you probably thought. I’m sure you know the feel­ing — you see a link to some­thing that looks in­ter­est­ing, fol­low it, and when it turns out to be a video clip, you shake your head and kill the tab. The prob­lem with video is it’s just too slow. Paul Kinlan makes a case for progressive web apps as a way to combine the best of native mobile and mobile web apps. His discussion is useful beyond Google’s progressive web activity. …my children shouted in annoyance. They rousted me from bed, complaining that something was wrong with the TV… Trying to explain that there are advertising breaks so people can sell them things was a deflating experience… Their incomprehension was total… If interruption-based advertising is no longer an option, and if traditional product placement is no longer the answer, how can brands reach consumers while not offending their sense of empowerment and leveraging their desire for immediate gratification? The Gilbane Advisor curates content for our community of content, computing, and digital experience professionals. Subscribe to our newsletter, or our feed. 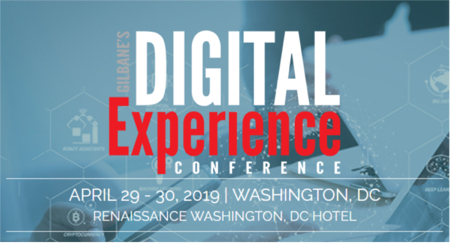 The Gilbane Digital Content Conference: Content Management, Marketing, and Digital Experience helps marketers, IT, and business managers integrate content strategies and technologies to produce superior digital experiences for customers, employees, and partners.